I am in the first year of my PhD program in Experimental Medicine at the University of British Columbia (UBC). My supervisor, Dr. John Kramer, is a principal investigator with ICORD (International Collaboration On Repair Discoveries), a spinal cord injury research centre of VCH Research Institute and UBC. My research focuses on understanding how pain works. Pain is common in spinal cord injury patients, affecting about 70% of this population. To achieve my goals, which include changing how we currently manage pain, I aspire to be supported and mentored by Toptal Scholarships. Toptal is an organization devoted to empowering women around the world. In this special blog post, I will discuss my research plans and share what inspires me to change current pain management strategies. A ground-breaking discovery occurred in 1846, probably affecting every human being in the world: William T.G Morton used inhaled ether as a surgical anaesthetic. Pain during surgery was eliminated. Before this time, surgeons could offer little beyond opium and alcohol to help patients endure agonizing procedures. This remarkable milestone allowed many sub-disciplines of medicine to thrive. My injury is C5/C6 (vertebrae in vertebral column), but my true disability is my pain. Today 1 in 5 people world-wide suffer from ongoing pain. The national cost of pain in the US is as high as $635 billion a year, which exceeds the yearly costs for cancer ($243 billion), heart disease ($309 billion) and diabetes ($188 billion). While most pain therapies available today may conceal the pain, they don’t address its cause. The lack of successful pain-relief strategies is further highlighted by the current opioid crisis. According to international human rights law, countries must provide adequate treatments and pain management strategies as part of their core obligation under the right to health. One of the main obstacles in seeking to achieve this goal lies in our lack of knowledge regarding the mechanism underlying pain. This is where my research comes in! Determine physiological indicators of pain. Examine novel interventions for pain. This will impact diagnosis, evaluation of risk, and create an opportunity to examine analgesic efficacy at an individual level. 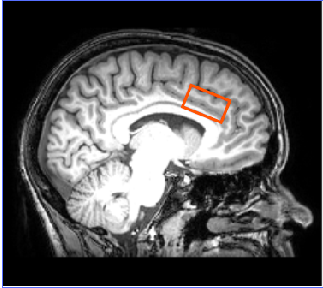 Figure 1- The anterior cingulate cortex is an area known to be active during pain perception and pain modulation. There are currently no approved biomarkers for clinical pain trials by the US Food and Drug Administration or the European Medicine agency. The definition of pain includes two aspects: a sensory response (i.e., detection of stimulus) and an emotional response (i.e., subjective interpretation). The latter is what clinicians depend on when patients verbally report the severity of their pain (on a 0-10 numeric rating scale). This measure, although valuable (as it ultimately describes how one feels and functions) only examines one side of the phenomenon. The subjective rating of pain leads to great variability in reports and creates confusion on how to treat patients who complain frequently, and raises the question if some patients are being under-treated. Normally pain enhances survival; it’s a way of communicating to the brain that there is danger, thereby initiating excitatory signals in the brain. On the other hand, cognitive processes (our ability to exert control over pain) can appraise the actual situation (i.e., dangerous or not). As pain cannot always be avoided (e.g., medical procedures, child birth etc.) the nervous system can initiate inhibitory signals in the brain (the so-called descending pain control system). But what happens if the nervous system transitions into an ‘over-protective’ state? For neuroscientists, pain presents a difficult problem, as it is a physiological process (just like your heart-rate) but it is innately subjective —only you can feel your own pain. Neuro-imaging techniques have enabled us to examine the brain’s response to experimental pain. Results have provided unique insights into the complex relationship between pain perception and brain anatomy, connectivity and biochemistry. The question now becomes: Can we identify neurophysiological patterns (or markers) that occur in response to pain? Through magnetic resonance spectroscopy (MRS), a non-invasive technique that allows neurochemical quantification in the brain, excitatory (i.e., glutamate) and inhibitory (i.e., γ-aminobutyric acid [GABA]) chemicals can be measured during pain perception and pain processing. The preliminary results from my research (objective 1) illustrate a significant association between an excitatory neurotransmitter (glutamate) and increases in pain in an individual, in a pain-processing brain area (anterior cingulate cortex). This association could mean chemical neurotransmitter concentrations could be used as indicators of perceived pain intensity. Figure 2- Glutamate concentrations (millimolars) in the anterior cingulate cortex are associated with pain ratings (0-10 numeric rating scale). This relationship is seen throughout an in-scanner pain experiment, during the application of painful heat and minutes after. My research aims to examine the brain’s response after and/or during different pain-management strategies (e.g., cognitive training, placebo-effect), via different analytic techniques (objective 2). 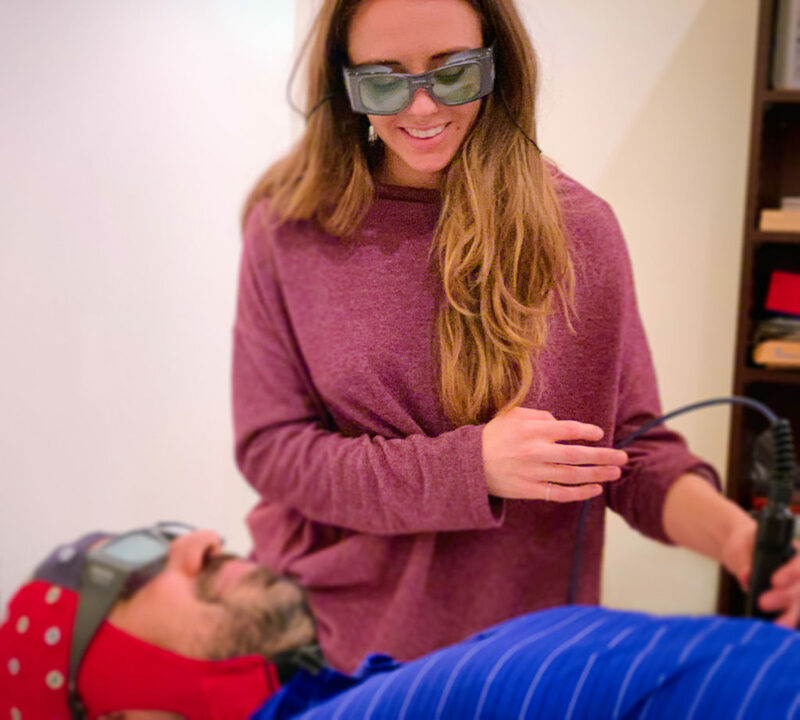 Although neural activation induced by unpleasant stimulation might not be specific to pain (as it may occur during different types of sensory stimulation), it can still provide relevant information in a controlled setting. These techniques could be used to evaluate the pain relief efficacy of a particular therapy. In this way, my research has a dual purpose of further understanding the mechanism of pain modulation, as well as explaining why there is pain relief when we perform an intervention. Put simply, the brain’s responses help us see if and how a certain therapy is working. Consider the placebo response, in which patients in agonizing pain can report pain relief after taking what they believe to be a painkiller, when in reality they have consumed a sugar pill. We know the perception of pain is changing, but what happens neurophysiologically? Let’s now take meditation, a non-pharmacological intervention, that might result in better pain management outcomes for some patients. Research has shown that different areas of the brain change when pain is modulated cognitively versus modulating the actual intensity of the stimulation. My plan is to thoroughly assess these approaches to determine their neurophysiological effect and analgesic efficacy at an individual level. This would be a step towards personalized medicine. The results of my study could lead to avoidance of over-prescription, reduction in health-care costs, and fulfillment of human rights goals. 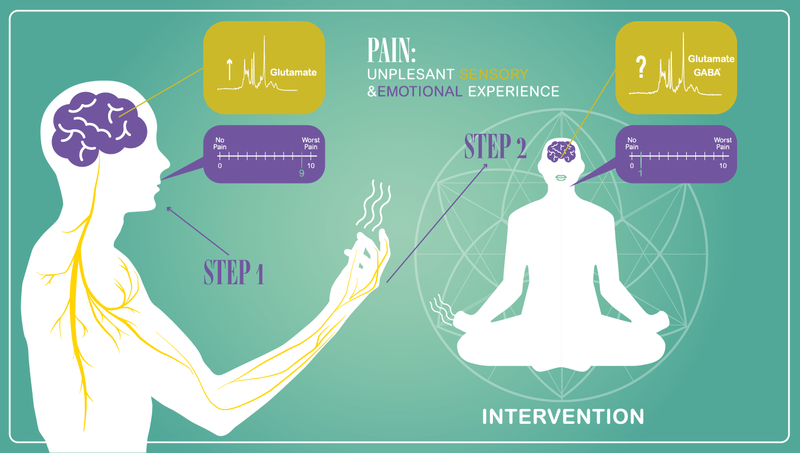 Figure 3- Can we measure neurochemical changes after pain-relief interventions? The potential for drug-free analgesia is worth exploring. Pain can be debilitating, preventing people from doing regular activities, and the addiction/adverse effects of current first line of treatment medications don’t necessarily improve quality of life. I believe reducing painkiller misuse around the world requires unified efforts from researchers and health-care professionals to educate ourselves, to understand how pain works, and how we can manage it. Such discoveries will affect the millions of people affected by ongoing pain today, as well as their families and caregivers. I want to change the perception of pain— one individual at a time. The consequences of this suggestion can be devastating for patients. My goal is to be a part of this shift in paradigm: the brain is what may help patients conquer their pain. We are only beginning to understand the complexity of the brain, and how it can be retrained. I am taking this leap because of the benefits it will have to humankind. If we want to treat pain, we need to invest in the brain. Globally, more woman are pursuing science in higher education, although the gender gap expands at the PhD level and peaks at a researcher level. This means that woman are less likely than men to be in senior positions and achieve tenure. The research group I work with is predominantly female, and I am appreciative of working in a stimulating and encouraging environment. However, globally, women only represent 28% of the world’s scientists employed in research and development (2014). 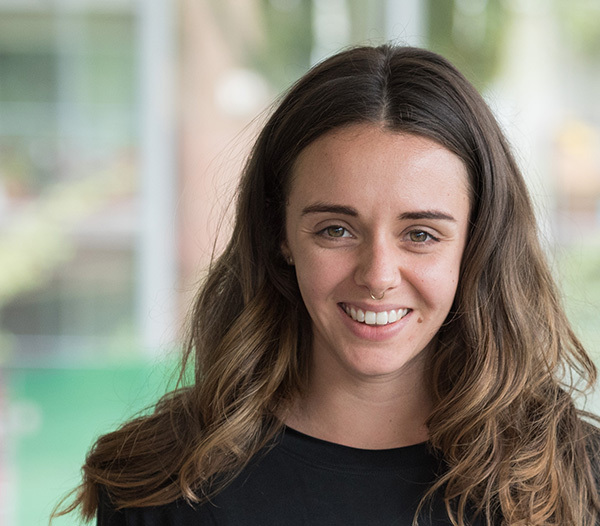 Through Toptal scholarships, I will have the support and guidance to carry out my research, develop myself as a future leader, and continue the movement of empowering females around the world. My ideal mentor will be someone I can turn to for advice, information, and guidance, and who can help me further build my network. I hope to develop a relationship with a well-established professional, from whom I can learn ways to improve the dissemination of research findings, knowledge translation, and data visualization skills. I’m hoping a Toptal mentor can help me strategize and secure funding to continue my research and strengthen my leadership skills. In turn, as a potential protégé I commit to taking a proactive role in learning, and having the willingness to be directed and advised. I hope I can also provide my mentor with my own insights and offer her a fresh perspective. All the best, Jessica. I am just reading articles on pain for my own Lower Back Pain. I am trying to learn more about “learned pain” in relation to old injuries when the pain comes back, even though the tissue has healed. It was a more compassionate way of presenting the “all in your head” aspect. I like that you are incorporating meditation in your research. It is so important the relation between body, mind and brain. I am also reading BKS Iyengar’s The Tree of Yoga to help conceive of these relationships between body, mind and brain and find a way of letting go of some of this pain. Jody Kramer has a great video on pain called Pinch, http://www.jukimuseum.com/animation/ You may know about it. Thanks for your work. I hope you get the mentorship you are seeking. Thanks for your note Lora! It means a lot. I will check out that video.